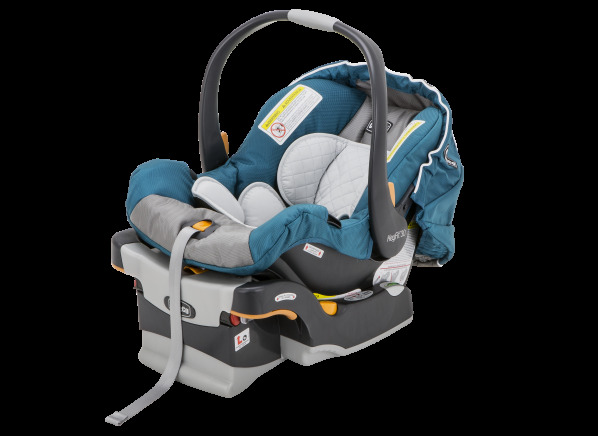 The Chicco KeyFit 30 is part of the Car seat test program at Consumer Reports. In our lab tests, Car seat models like the KeyFit 30 are rated on multiple criteria, such as those listed below. Maximum weight: The maximum weight of a child that a model will accommodate. Ease of use: Includes the clarity of instructions, installing the seat, adjusting harness positions, placing a child in the seat, securing the harness, and removing the child. Fit-to-vehicle LATCH: A rating of how easy it is to securely and correctly install each seat using the LATCH system in a variety of vehicles and how well the seats fit each vehicle once installed. LATCH connections LATCH connections Type of LATCH connection. Harness height adjustment Harness height adjustment Method of adjusting harness height / position for different height children. Harness tension adjustment Harness tension adjustment Method of adjusting harness tension. Base recline level indicator type Base recline level indicator type Type of level indicator on base that shows correct level of recline in rear facing orientation. Base recline level indicator position Base recline level indicator position Location of level indicator on carrier. Carrier recline level indicator type Carrier recline level indicator type Type of level indicator on carrier that shows correct level of recline in rear facing orientation. Carrier recline level indicator position Carrier recline level indicator position Location of level indicator on carrier. Adjustable base Adjustable base Does base include some means of adjusting height to attain various recline positions on different vehicle seats. Belt lockoff Belt lockoff Does the seat include a means of "locking" the vehicle belt to prevent slippage during installation? Adjustable crotch strap Adjustable crotch strap Does the crotch/buckle strap adjust for fitting different sized babies? Handle restriction Handle restriction Is handle limited to certain position(s) during travel? Carrier use without base Carrier use without base Can the carrier be installed for vehicle use without the base? Weight range (lbs.) Weight range The manufacturers' specifications for the seats - they can accommodate a child weighing from X to Y lbs. Height range (in.) Height range The manufacturers' specifications for the seats - they can accommodate a child from A to B inches in height. Carrier weight (lbs.) Carrier weight The weight of the carrier portion of the seat. Seat/base weight (lbs.) Seat/base weight Weights listed are to the nearest pound. Base width (in.) Base width Total width of seat base at its widest point in inches. Carrier width (in.) Carrier width Total width of carrier at its widest point in inches. Overall length (in.) Overall length Overall length of seat installed on base in inches.